An Introduction to our web sites - just to give you a bit of info' and provide you with links to some useful pages GJHassociates. For example, this is our web site (currently FOR SALE) All Matters Timeshare in Portugal where you can buy, sell, rent, exchange timeshare weeks and much more. 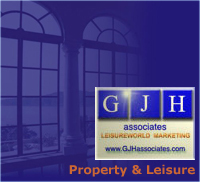 During 2016 there will be lots of changes at GJHassociates ~ LeisureWorld Marketing, following the retirement and semi-retirement of the Partners - Algarve Timeshare. In addition, changes in direction/reduction of services at GJHassociates, including the introduction of ArtyChocs | ArtyBox. Find a few interesting things at Useful Things..Take a look at our Craft, Art and Print offers Craft-Art-Print. You'll find much more than travel & holiday products and services at GJHassociates. In addition to the information on this page, there's more to see and learn about here. You are also most welcome at The Club House where you are invited to register, post your comments and join in the fun. Just in case you're wondering - this page is not supposed to be 'public', although we know it can be found by accident etc. Currently, it's an attempt to get old 'webpageharry' familiar with html code (he is, at base, a graphic designer - and doesn't want to let go ! some will understand the problem ). In the meantime, please browse our web pages - you may find some useful and interesting. If you are an ebayer, like ourselves, you'll find several shortcuts to auctions of interest. 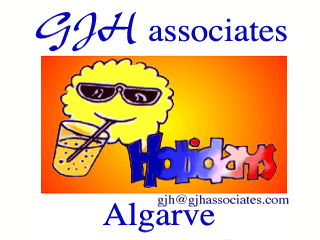 2016, is a milestone for us - following the retirement and semi-retirement of the partners at AlgarveTimeshare, a division of GJHassociates - we'll be reducing our touristic activities and concentrating on our personal interests, namely: Art and Crafts along with Graphic and Web page design. This will be reflected in the content of our web sites during 2016 and beyond. >>>>>> GJH LeisureWorld ~ test pilot Silly stuff here - beware ! If you've got it - move it ! "For those who prefer and appreciate handcrafted-things ... and also take pleasure in giving unique and endearing gifts." A Link to Your Web Page Here ?